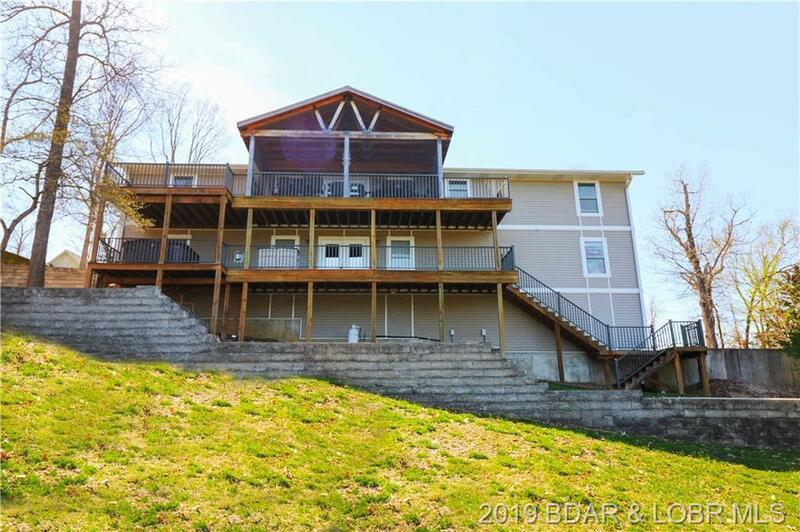 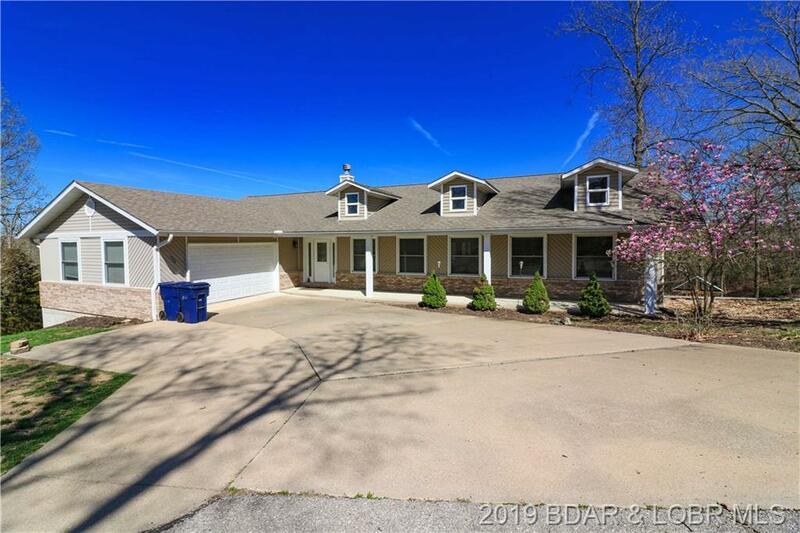 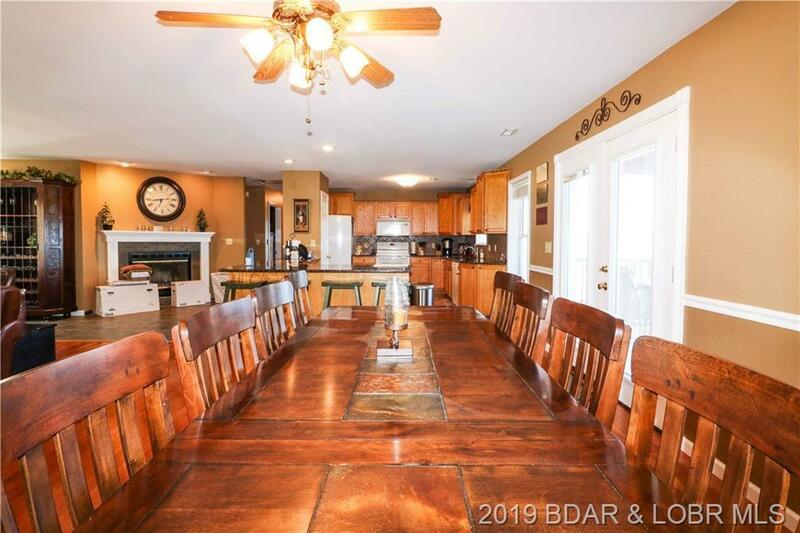 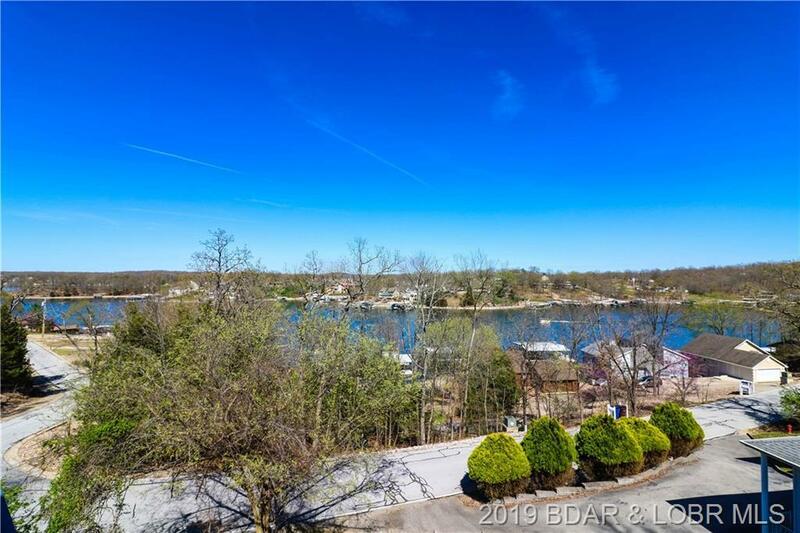 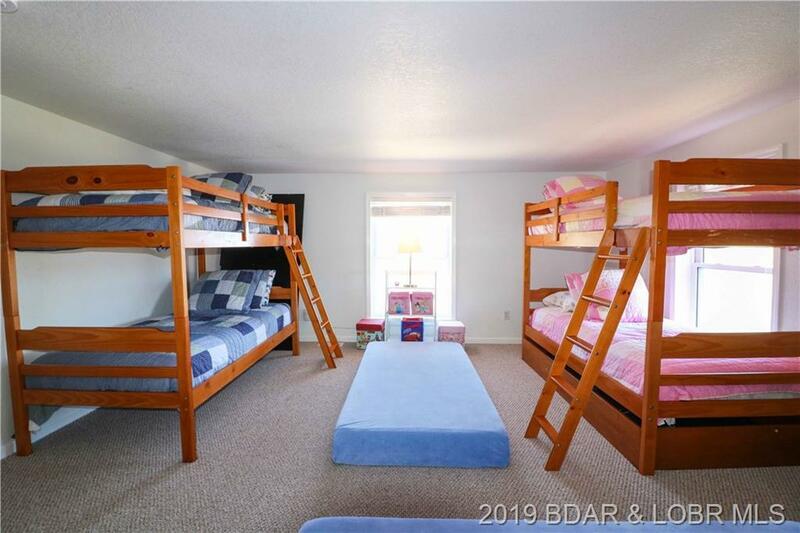 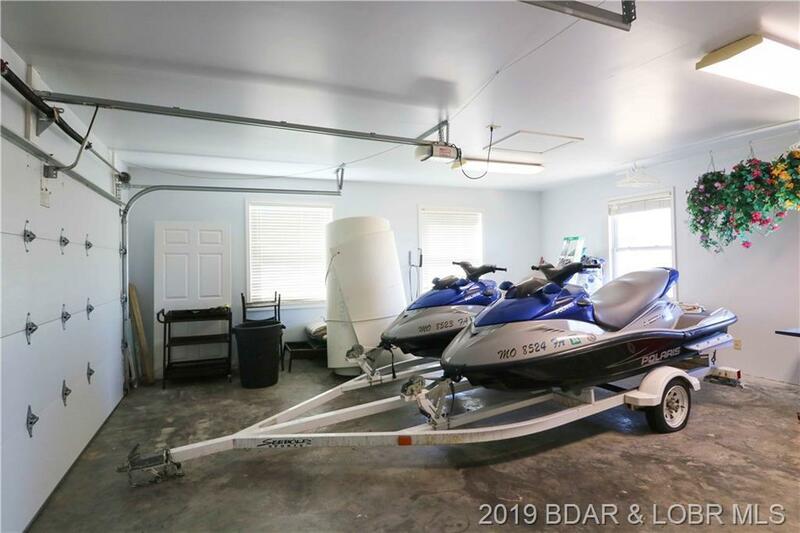 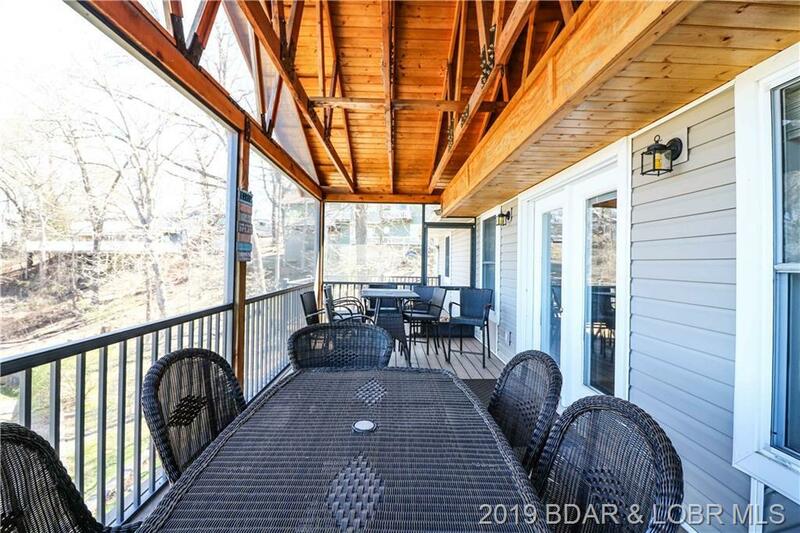 1594 Mockingbird Lane, Osage Beach, MO.| MLS# 3513399 | Lake of the Ozarks Real Estate for Sale, Search for Homes, Condos, Lots, Land & Commercial Listings in Osage Beach, Lake Ozark, Four Seasons, Linn Creek, Camdenton, Rocky Mount, Sunrise Beach, Laurie, Brumley, Kaiser & surrounding areas. 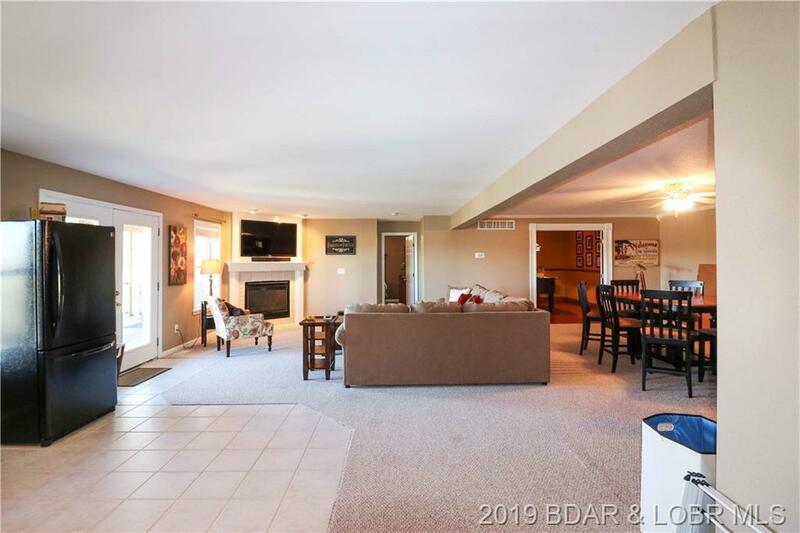 BIG, BOLD, AND BEAUTIFUL are the perfect adjectives to describe this sprawling lake view home with almost 5,000 square feet of living area. 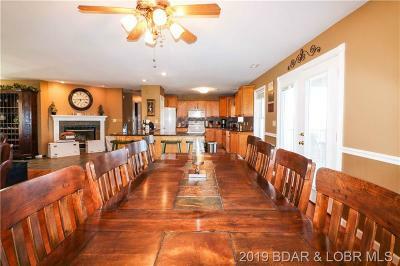 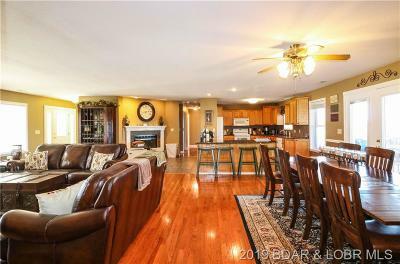 Whether you are looking for a full time home or a vacation rental home, this offers everything one could want. 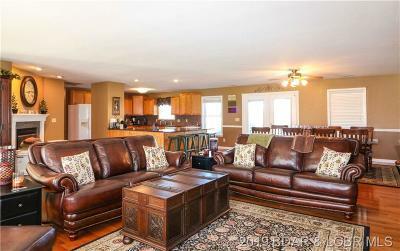 Home has 6 bedrooms, 3 on each level, 4 bathrooms, 2 full kitchens, 2 fireplaces, living and family room, along with game room. 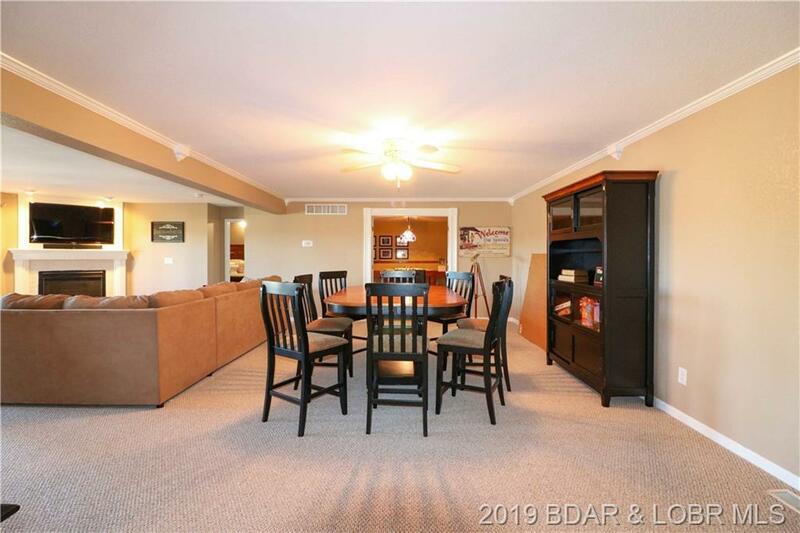 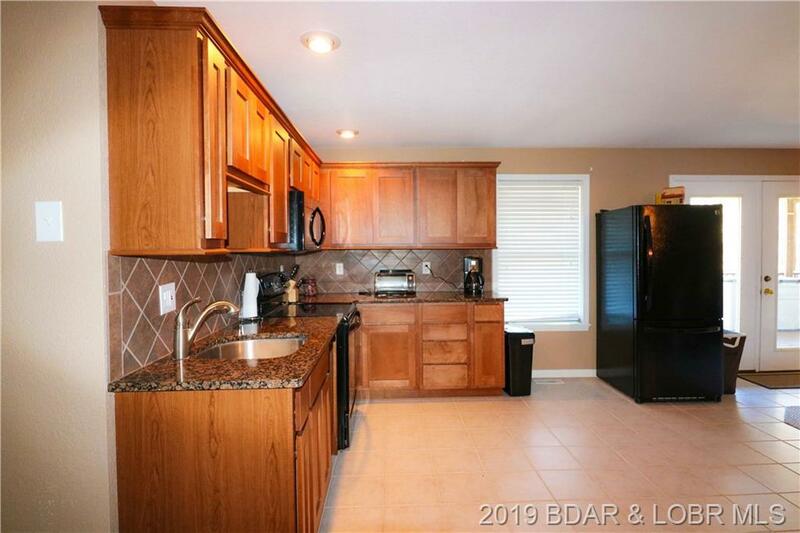 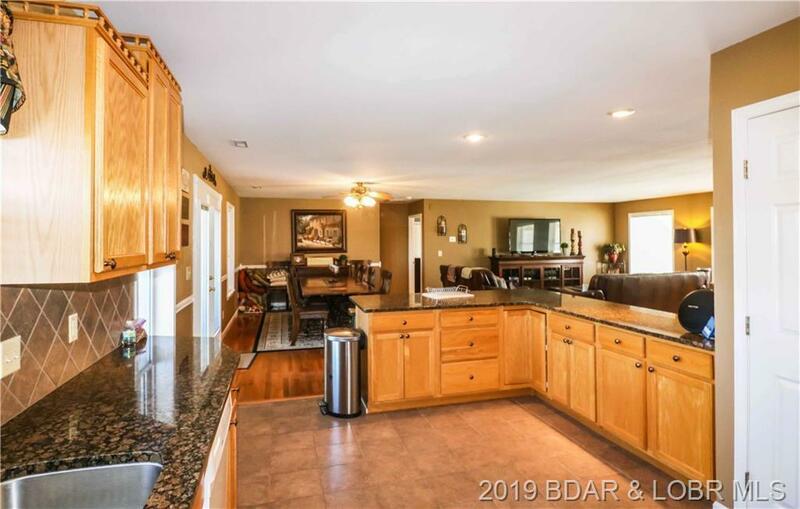 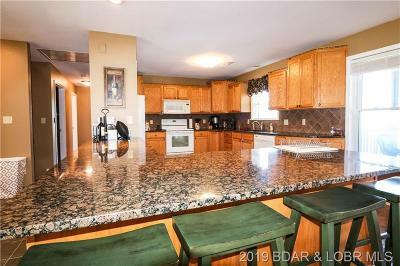 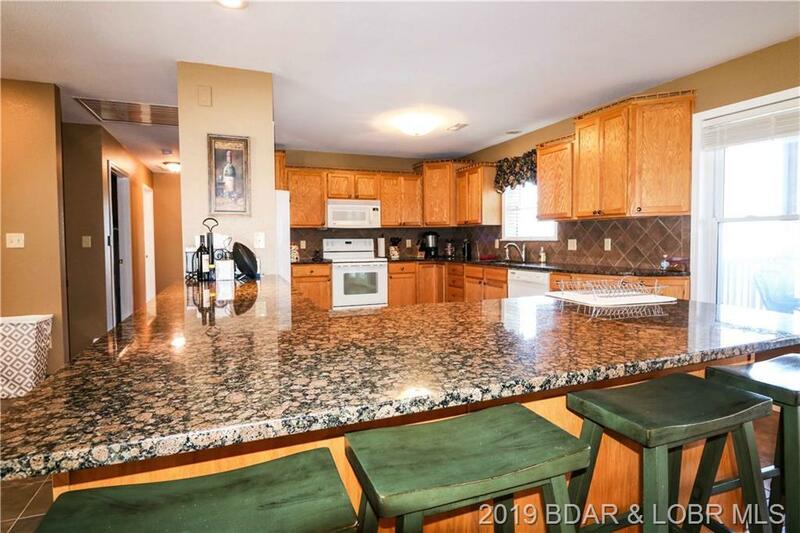 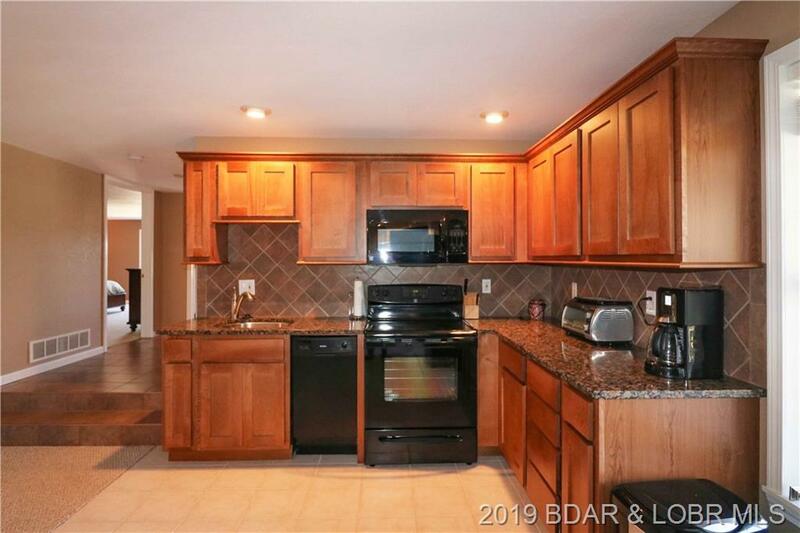 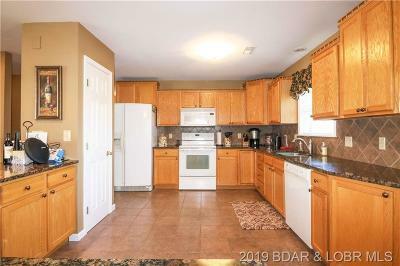 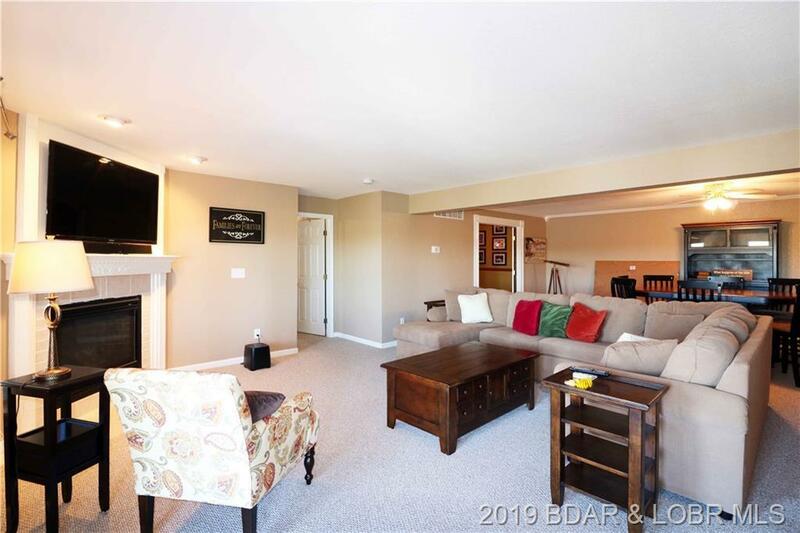 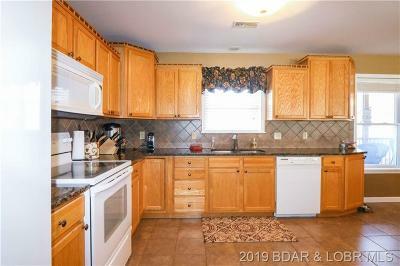 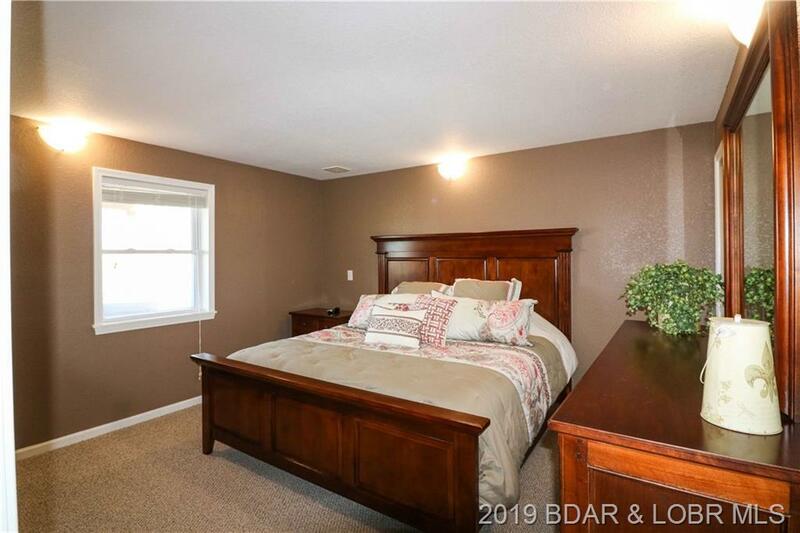 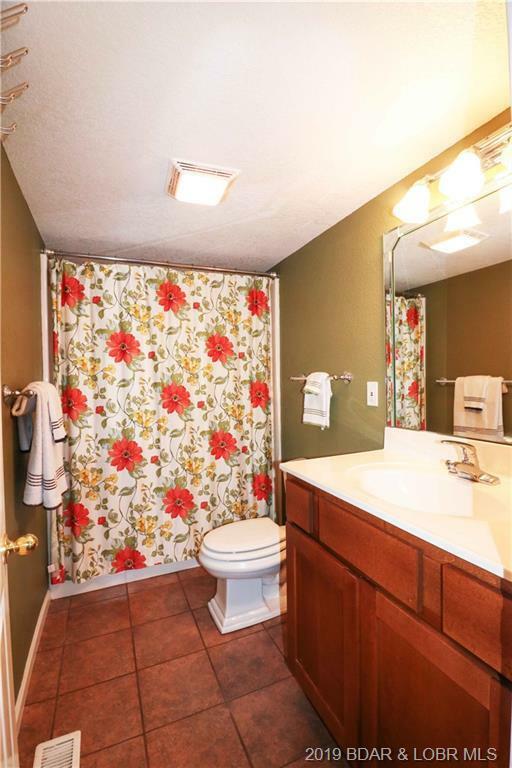 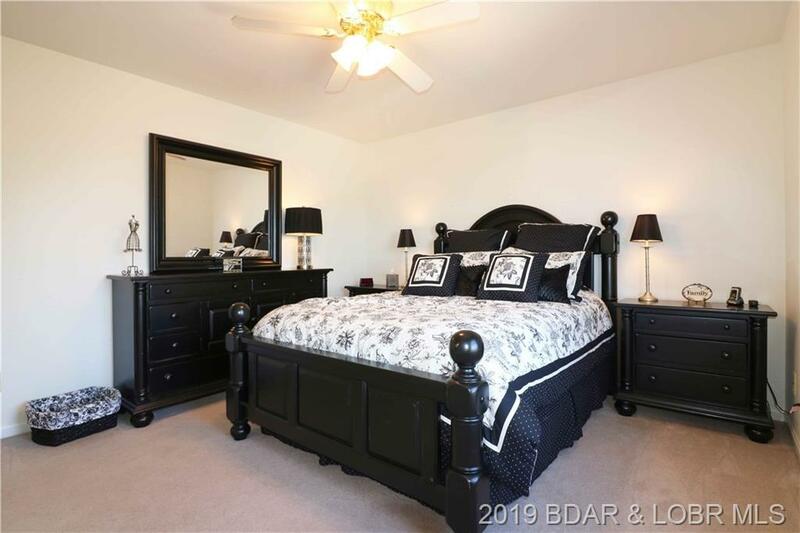 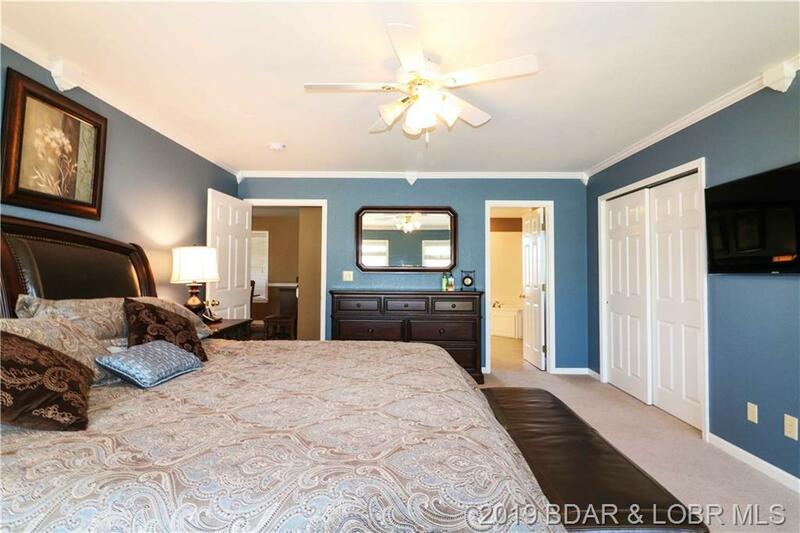 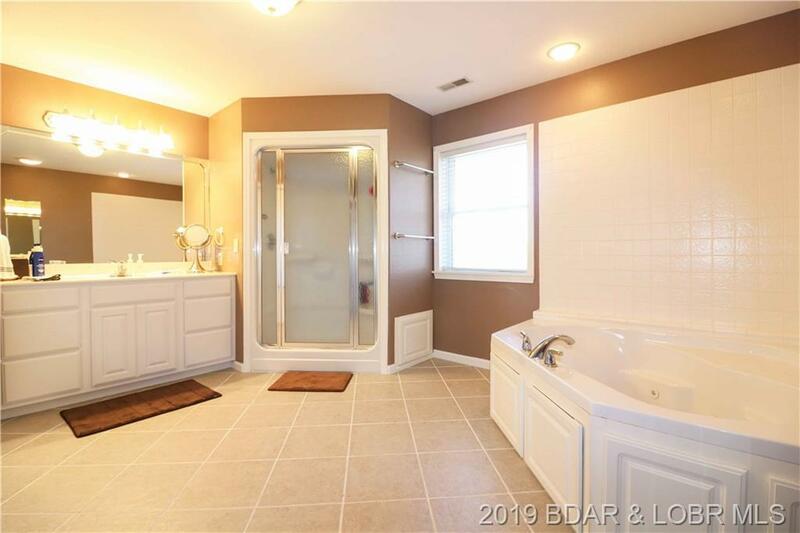 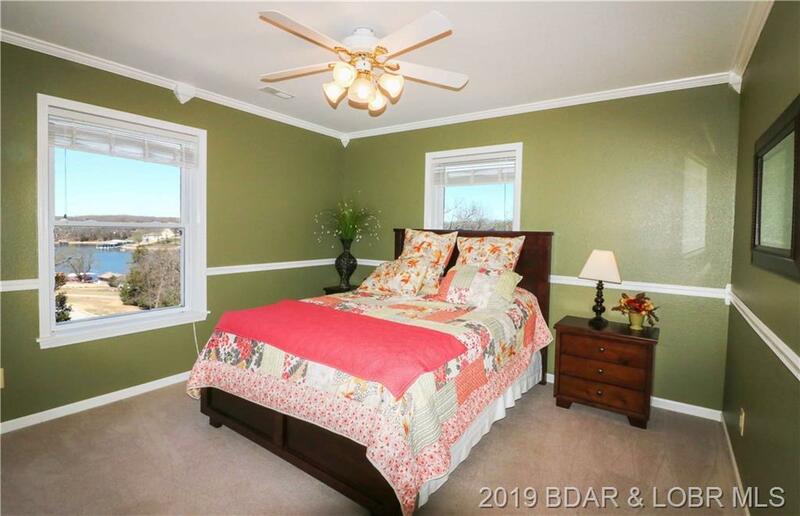 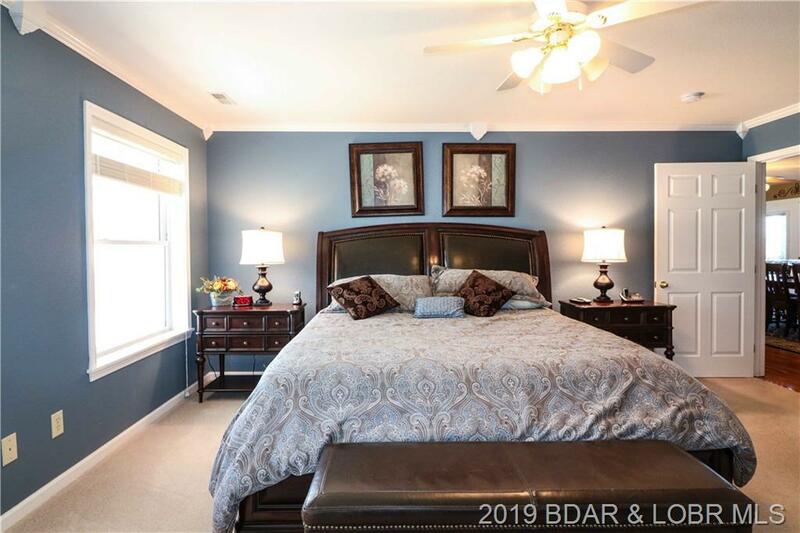 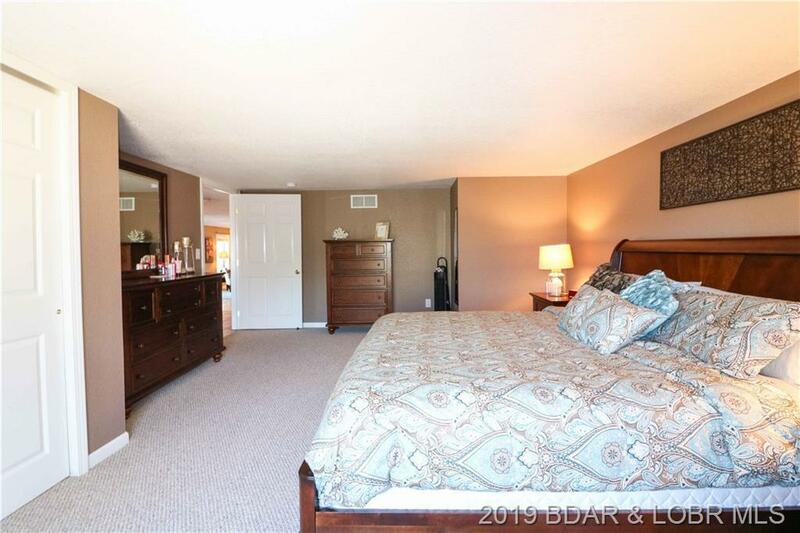 Granite countertops, wood floors, tiled shower, jetted tub, upper and lower decks with part of it screened and covered, and hot tub are just some of the many features of this fine home. 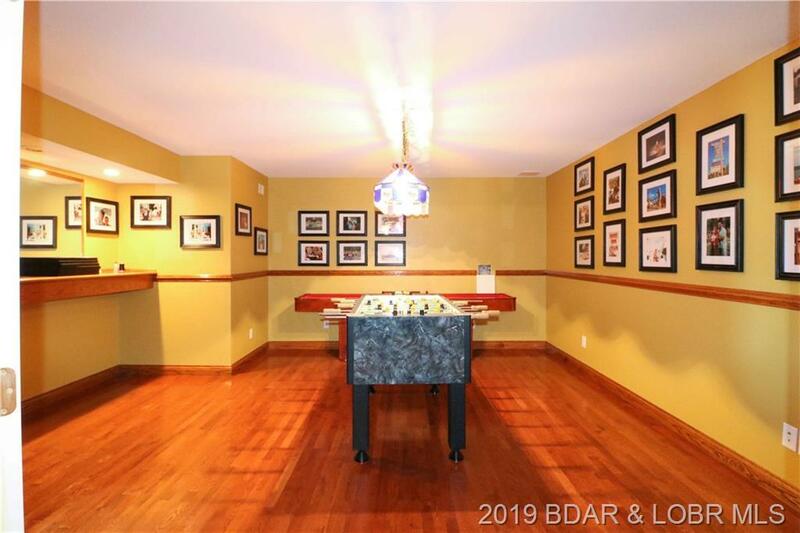 Need a place for your toys? 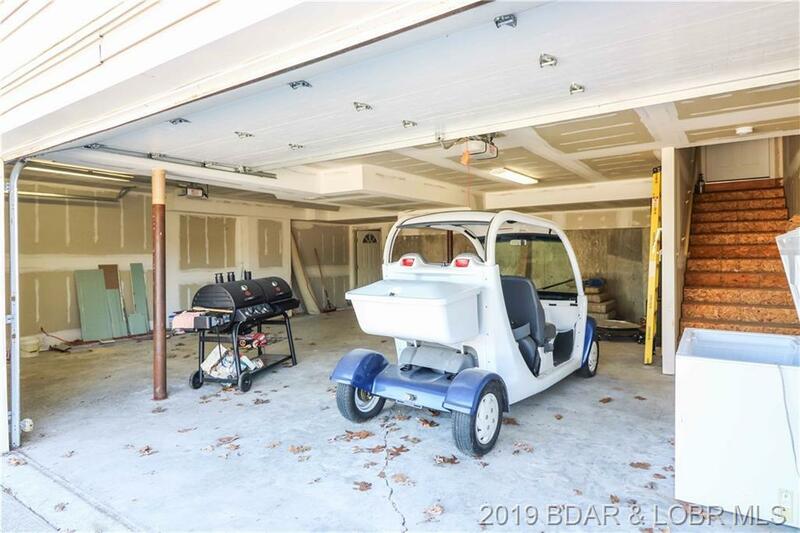 How about a garage for 6 cars along with storage. 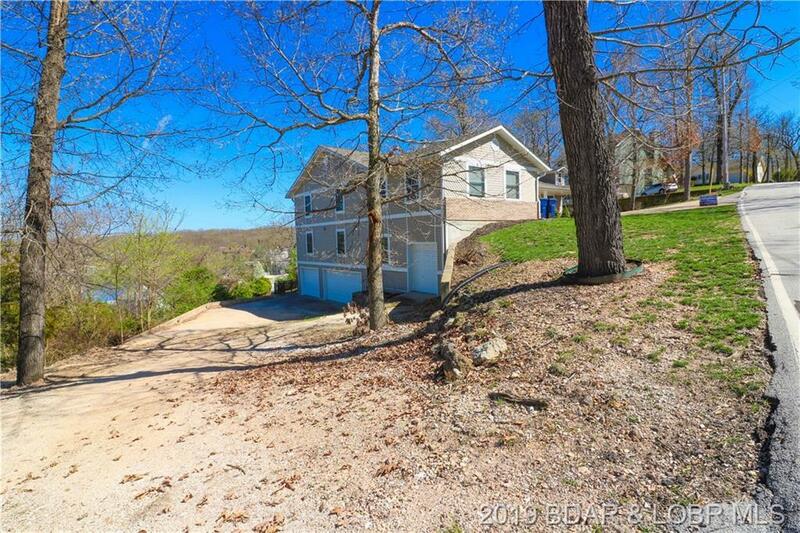 Lots of off street parking. 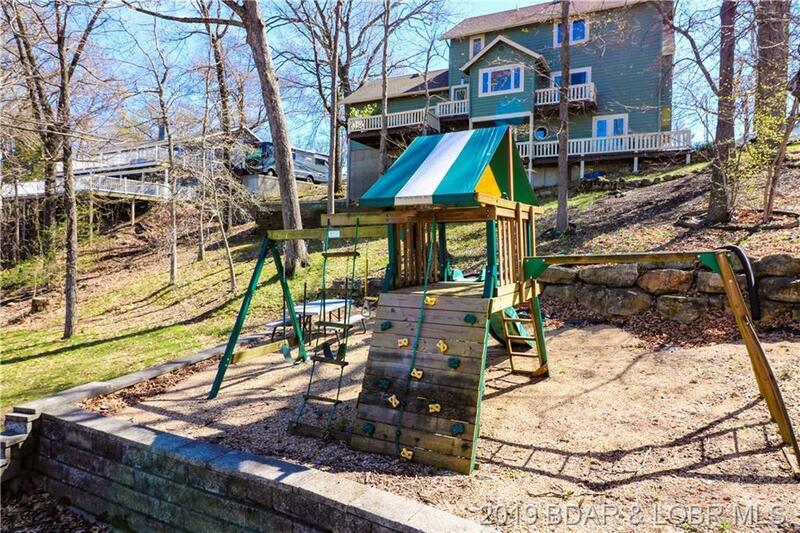 Nice tiered lawn with playground. 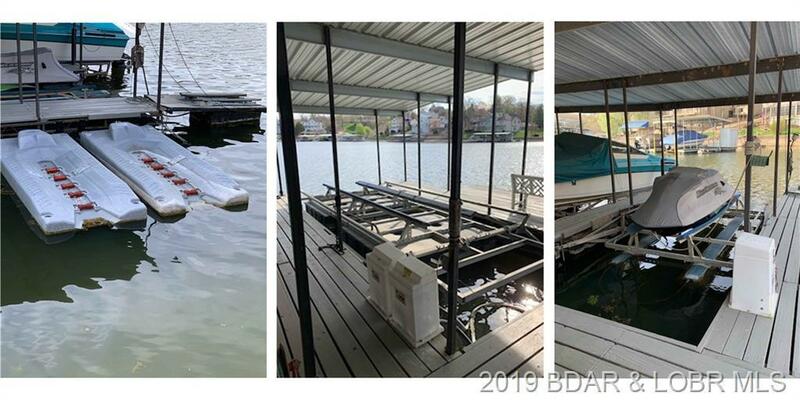 Complete package includes 2 boats slips, 2 boat hoists, and 2 PWC slips with a double lift in community dock. 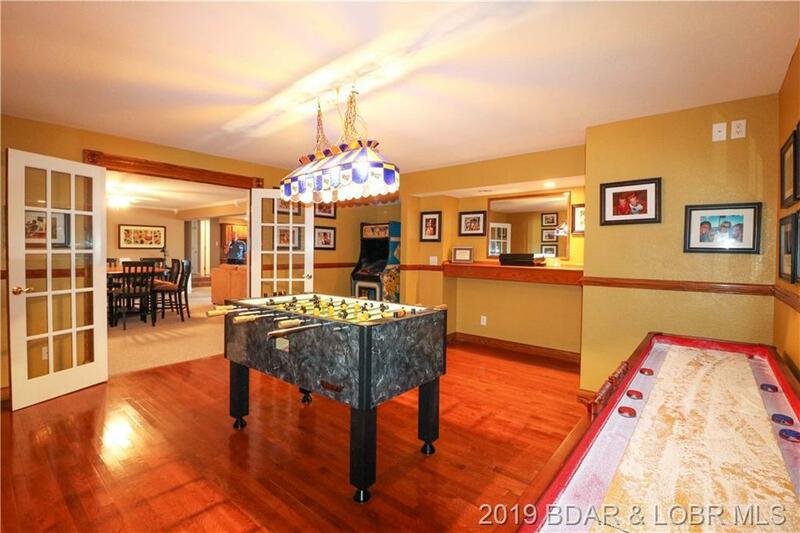 Community pool and tennis courts. 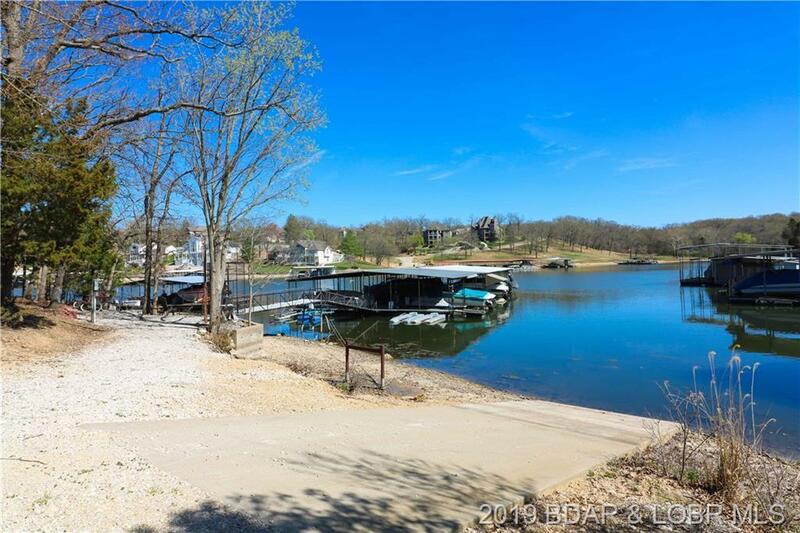 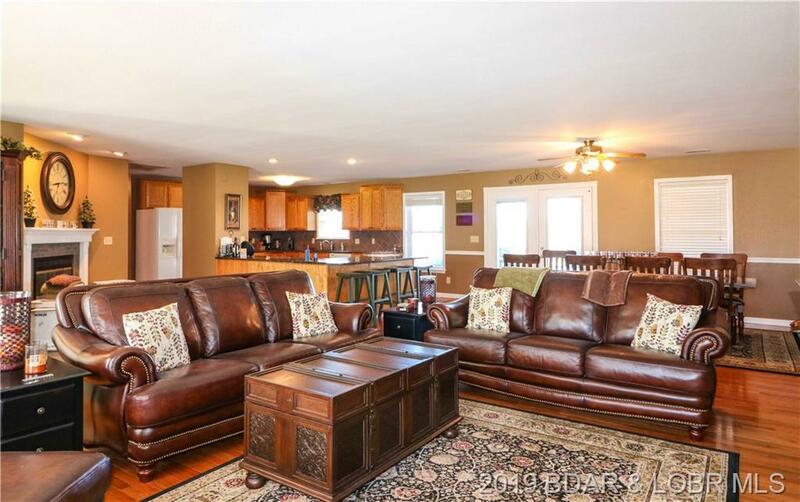 Perfect location in heart of Osage Beach close to many fun things to see and do, both by land and water. 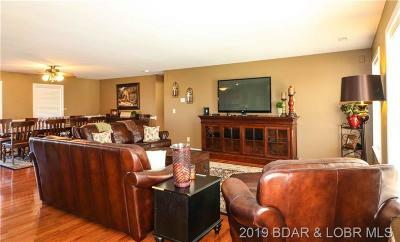 Make plans to see this one NOW!! 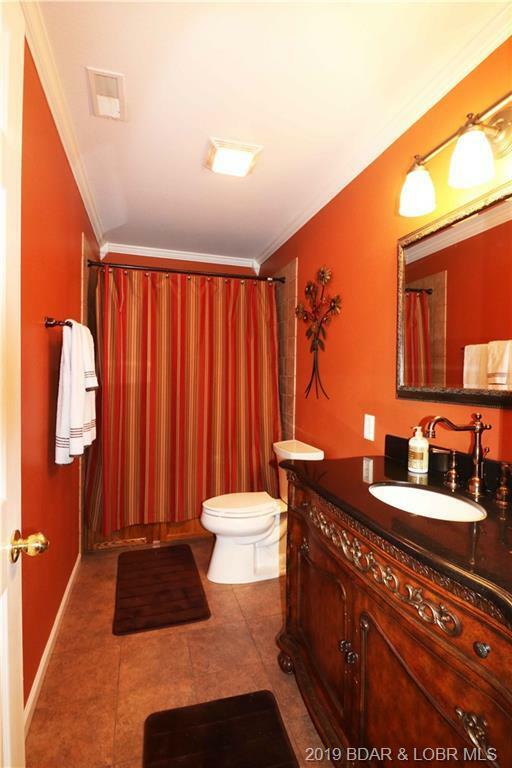 Directions: Highway Kk To Right On Three Seasons Road To Right On Mockingbird Lane To Home On Right.